Stephen has led the statistics team at the MRC Epidemiology Unit since 2006; he and his team play an integral part in the research of all the scientific programmes in the Epidemiology Unit. 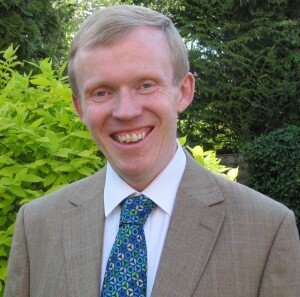 This includes taking the lead on some of the major analyses and providing advice to Unit scientists on aspects of study design, analysis, interpretation and reporting of results; Stephen has contributed to many peer-reviewed publications based on research undertaken in the Epidemiology Unit. He also works with statisticians and epidemiologists in the MRC Biostatistics Unit and the University of Cambridge Department of Public Health and Primary Care, exploring the use of different statistical methods to address research questions of relevance to the Epidemiology Unit. Stephen is a Lecturer for the University of Cambridge MPhil in Epidemiology and Public Health, and also teaches on various short courses. He provides statistical advice on an as needed basis to researchers in other parts of the Institute of Metabolic Science and Institute of Public Health. Since 2010 Stephen has been a member of Technology Appraisal Committee A for the National Institute of Health and Care Excellence (NICE). He is a statistical reviewer for various journals, including The Lancet, Diabetologia, Diabetes, and Pharmaceutical Statistics. Stephen has an MA (first class) in Mathematics from St Catherine’s College, Oxford and an MSc (distinction) in Medical Statistics from the London School of Hygiene and Tropical Medicine. He has previous experience working as a medical statistician within both academia and industry.